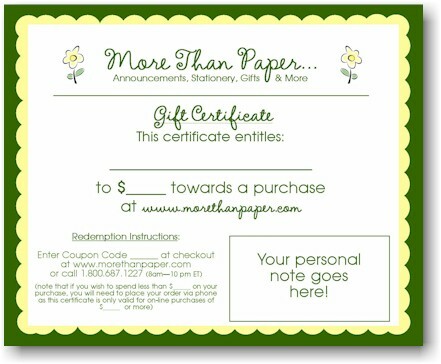 Gift Certificates make great last minute gifts, or perfect if you want the gift recipient to choose their own gift! You choose the amount to give, they choose the gift to get! Certain restrictions apply - read our terms & conditions on the bottom of this page. To remove the $10.00 shipping charge, please use coupon code "MTPGC" at checkout to get free shipping on this item.